Former USC assistant football coach Todd McNair lost about $2.8 million in earnings after his contract was not renewed by USC in the wake of San Diego native Reggie Bush’s scandal, a retired university economics professor testified Tuesday. Former Cal State Fullerton professor Peter Formuzis testified on behalf of McNair in the trial of his Los Angeles Superior Court lawsuit, which alleges the NCAA cost him his job and derailed his career after he was wrongfully punished in the Bush case. McNair’s lawyer, Bruce Broillet, maintains the organization relied on a “recklessly constructed record” to build its case against the coach by “misrepresenting facts” that led to conclusions contradicted by the evidence. NCAA attorney Kosta Stojilkovic acknowledged that errors were made by people within the organization, including an employee who wrote in a private email that McNair was a “lying, morally corrupt criminal.” He said the email writer was not involved in the decision-making in McNair’s case, but that the comments nonetheless were “completely unacceptable” and that even NCAA President Mark Emmert found them inappropriate. In his testimony, Formuzis said McNair’s highest salary at USC was in 2008, when he earned over $255,000. He was paid nearly $120,000 for working just part of his final year in 2010, Formuzis said. Formuzis, 78, said he has made more than 1,500 appearances in court while testifying on behalf of people ranging from ordinary workers to celebrities since retiring from CSUF in 1991. He said most of his testimony has been on behalf of plaintiffs. McNair’s lawsuit, filed in June 2011, seeks damages on allegations of defamation, breach of contract and negligence. 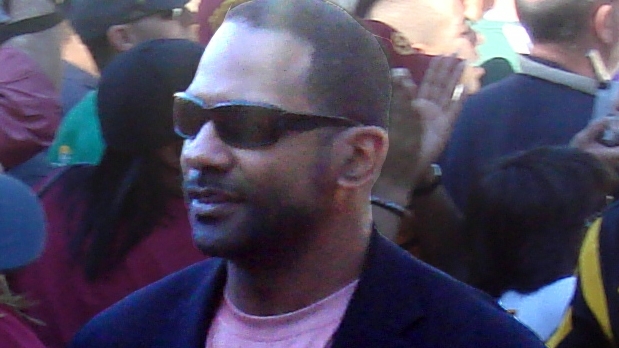 McNair spent six seasons at USC coaching Trojan running backs under former head coach Pete Carroll, but his contract was not renewed after the NCAA allegations. According to the lawsuit, the NCAA report stated that McNair knew about Bush’s relationship with two sports agents, San Diego sports marketers Lloyd Lake and Michael Michaels, who were providing Bush with benefits. McNair said he was unaware of the relationship, and that the NCAA committed misconduct in its investigation. Also taking the stand on Tuesday was Eleanor Myers, a Temple University law professor who was a member of the NCAA infractions committee. She once wrote in an email that McNair did not have a good opportunity to explain a phone call with Lake that the NCAA used as evidence in the case that led to sanctions against McNair and USC. But when addressing the jury, she defended the committee’s deliberation process and said the panel was not influenced by others, including a group of men whose job was to act as observers of the process, some of whom wrote emails sharply critical of McNair. Myers said she was aware of Emmert’s criticism of one of the observers’ emails. “I’ve heard that, I was told that,” Myers said. Lake also maintains he spoke with McNair in January 2006 to get his help in persuading Bush to return the marketer’s money, the NCAA court papers state. But when interviewed a second time, McNair continued to deny he knew Lake, according to the NCAA. McNair’s phone records show he spoke with Lake for about two minutes and that the coach had a lengthy conversation with Bush the same day, the NCAA court papers state.